July 22, 2015: Kesh is commonly accepted as being an integral part of Sikhi and some people aspire to one day, keep all of their kesh. There are two temporal, panth-created Sikh documents that reference kesh: the Sikh Rehat Maryada and Ardas. When becoming Khalsa and accepting Amrit, a Sikh has made the commitment to keep all 5 Ks, one of which includes “kesh.” The Sikh Rehat Maryada states that upon accepting Amrit dishonoring or removing the hair is not allowed. 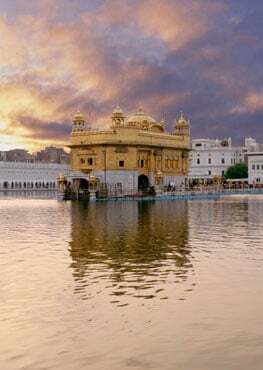 “Let us remember all those Sikh men and women who, for the sake of Sikh discipline …. never gave up their faith and their determination to live according to the Sikh rehat, with all their hair to their last breath,” (Translation from Sikhi Wiki). “Grant to all of Your Sikhs the gift of Sikhi, the gift of long hair…” (Translation from Sikhi Wiki). While not every Sikh is Khalsa, some try to keep the 5Ks as a way to internalize Sikhi. In the following article, one young Kaur discusses her relationship with kesh and her journey on the Sikh path. These words were permanently etched into my head since sixth grade gym class. This memory stings more than any other: more than when I invited the whole grade to my 14th birthday party and only five people came, more than when I was rejected from my dream college, and more than when I tried to kiss the boy I liked and he turned away. Every time I think of those words, I enter into a seemingly never-ending spiral of self-pity and jealousy. “Self-pity? Jealousy?” I think. “These are not the emotions a Kaur should have.” Sikh history has countless examples of the sacrifices our women made so that I could continue to carry on the Sikh legacy today. I was raised to be courageous, just my like parents and grandparents. But where was that courage and strength when I really needed it? I keep my hair. “All of it?” Yes, all of it. I feel like I should have long forgotten those mean comments from grade school, but for some reason, I find it hard to let go of the past. “Why couldn’t the other kids understand?” I wonder. “Why did I have to be the one that people made fun of?” I was hurt and became so insecure that during swimming in gym class, I would discreetly slide into the pool hoping no one would notice my hairy “abominations”. When I moved to a new high school, out came a “new” me. No, I didn’t embrace my hair; I hid it. I made sure no one knew about it. Unfortunately, my secret was not as exciting to me as Miley Cyrus’ secret hiding her alter-ego, Hannah Montana. I was constantly on edge. I’d keep looking to see if the bottom of my leggings had ridden up, because if they did, I’d be exposed. At the same time, I loved my hair. It made me proud to be a Kaur. It made me proud of being a Sikh and proud that I belonged to a faith that accepted all. My hair was a gift and it made me beautiful. Sometimes, however, when I walked down the hallway, that belief just wasn’t enough. Flash forward to my senior year of high school. I had had enough. My insecurities had gotten the best of me. I felt so alone because I didn’t know that my experiences were actually common among other Sikh girls. I tried bleaching – it didn’t work. So the next clear step was to go “all the way.” I picked up one of those cheap packs of razors for $3.99 and something called Nair, which was supposed to make your hair “magically” fall off. I bought them both and hid them in my bag. That night, I went to my bathroom and took out “the stuff.” First, I tried the Nair, but I couldn’t stand its unpleasant odor and went for the hot pink razor. Being a perfectionist, I didn’t let one speck of hair go untouched. My legs were as “smooth as a baby’s bottom” and I was satisfied. I consider myself to be pretty in control of my emotions so I was shocked when in the wee hours of that night, the feeling of guilt overcame me. I had just read the story circulating social media about Balpreet Kaur, a woman who keeps all of her kes, including her facial hair. I read about her positive spirit in the face of public teasing. I read how despite the negativity, she still stood tall, something I had struggled to do my entire life. I then remember thinking to myself, “Oh. My. Goodness. What have I done?” I broke down into tears. Tears heavy with regret. Sobbing like never before, I could barely breathe. I wished to turn back the clock so I could reverse my horrible mistake. I fell asleep that night, hating myself. Despite my horrible regret, that wasn’t the last time I shaved. I continued to do so until the end of high school and all throughout my first year of college. I was finally one of the “cool” kids. I could go to a pool without having to awkwardly slither in. I could wear all of those cute tops I saw in store windows. I finally felt free. For once, I felt accepted by others and I was happy. Nearing the end of my freshman year, I began to reflect. I soon realized a dilemma. Being away at college, I felt like I could be whomever I wanted because no one knew “me.” But when I came home, the place that has always been my haven, I covered up so my parents wouldn’t find out I shaved. When I didn’t shave, I hid my hair from everyone at school. When I did shave, I had to hide my legs from my Sikh friends and family. In both cases, I knew I would be judged and viewed as an outcast. I felt trapped. However, being home from college that summer and around my Sikh community, I didn’t feel a pressure to shave, as that was not expected of me. Thus, without much contemplation, I started to grow my hair again and for some reason, and I didn’t hate it. When I went back to college, I continued this trend. I didn’t removed my hair and I felt really good. I felt like I actually stood for something and I had come to the decision on my own. I still wore clothes that covered my hair but finally, I wasn’t paranoid about someone seeing it. Although, I hadn’t reached the point where I could go out in sleeveless dresses and tank tops, I knew one day I would get there and when I did, I would be an even stronger and more confident woman. On my long road of going back and forth between doing what my faith wants, what I want, what society wants, and then doing what I actually want, I honestly feel as though this “hair issue” is so much more than just shaving. For me, it was about making decisions for myself. Making decisions that I could be proud of. I have to come to the point in my life where my decisions are based on what I want. I need to be happy with what I decide, not what someone else tells me to do. I need to be in control of my own body. I want to be a person who doesn’t care what other people think – I can’t be that person while doing something that is so reflective of society’s wishes and run contrary to the Sikh Rehat Maryada. I may never know if my decisions are “right” but hopefully I will land on a choice where I do what I do, not because other people say it is right, but because I know it is the best thing for me. I now know that whatever decision I make about the hair on my body, the clothes I wear or anything else, I must carry myself with confidence, self-respect, and compassion for those around me. Regardless of my future dilemmas, I hope to make decisions not off of blind impulse but because I want to and it gets me closer to the Sikh path. I believe that we are all here for a reason; by not focusing every fiber of my being on what people will think of me, I hope to begin to understand life’s purpose even more. Life is a journey and I want to keep absorbing and experiencing everything that surrounds me. 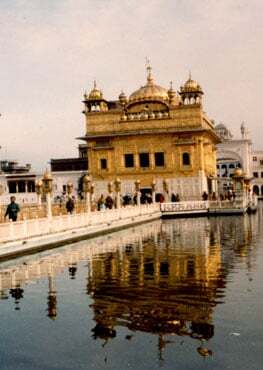 I know there is so much in this world for me to discover and by breaking down the barriers of insecurity and self-doubt, I know that I can bring myself to continue learning and understand the more about the world and what Waheguru has to offer.